Born on August 17, 1926, Wilma Mitchell grew up in Nolan County, Texas, in the farming community of Divide near Sweetwater, Texas. The daughter of a farmer, Edgar Elliott, and a school teacher, Patty Elliott, Wilma learned the value of hard work on the farm and in the classroom. She graduated as Valedictorian of her class, and went on to attend the Scott and White School of Nursing where she became a Registered Nurse. Not long after, she met the love of her life, Ted Mitchell. On September 17, 1951, they were married and shortly after, in October of 1952, had a son, Edgar Elliott Mitchell. 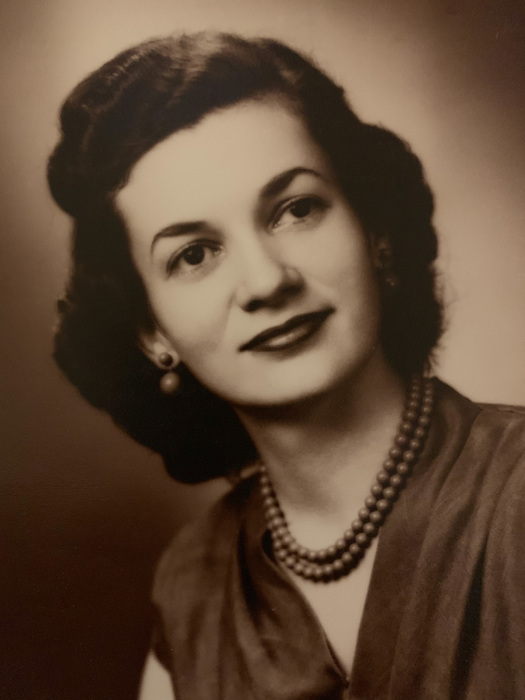 She enjoyed a long life and career as a Registered Nurse and, later, as an Instructor of Nursing at Austin Community College. She is predeceased by her husband, Ted Mitchell, her parents, her two sisters, Elizabeth Draper and Winona Barton, and by her grandson, Zachary Mitchell. She is survived by her son, Elliott Mitchell, her grandchildren, Maura Mitchell of Los Angeles, California and Justin Mitchell of Austin, Texas. A Graveside Service will be held Saturday, February 2nd, 2019 at Taylor City Cemetery in Taylor Texas.